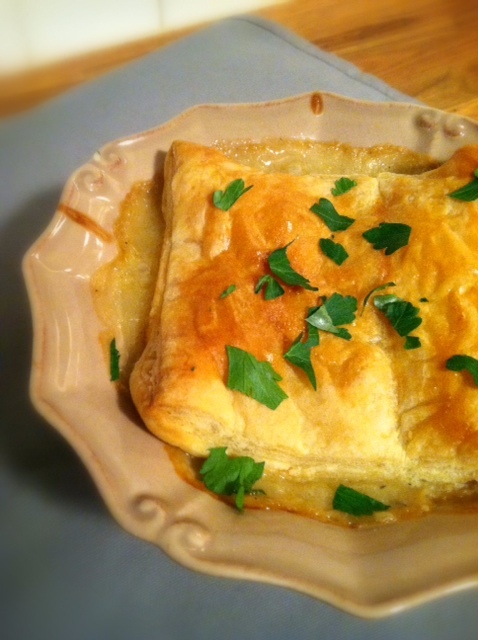 As a child, I was a big fan of Turkey Pot pie. I’ve had champagne taste all my life and always enjoyed things that seemed a little glamorous. Hey, when you’re six and you have your own pie in a cute silver pan, it seems fancy. Drinking orange juice out of a wine glass is another good example. I can’t be blamed, the babysitter let me watch Days of Our Lives. 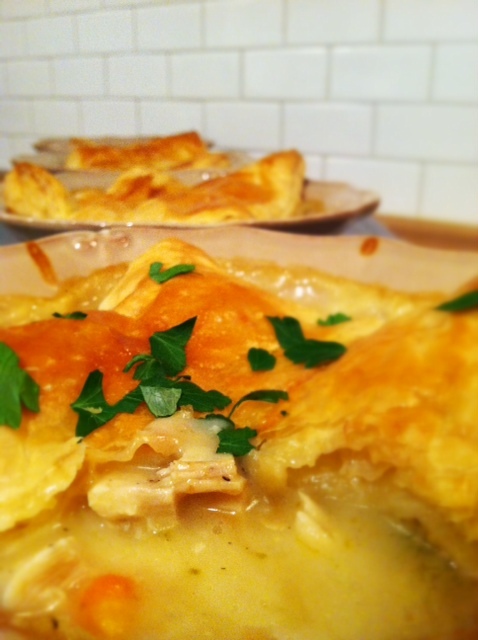 Over the years I have reduced my pot pie consumption for obvious reasons but every winter I have to indulge myself. 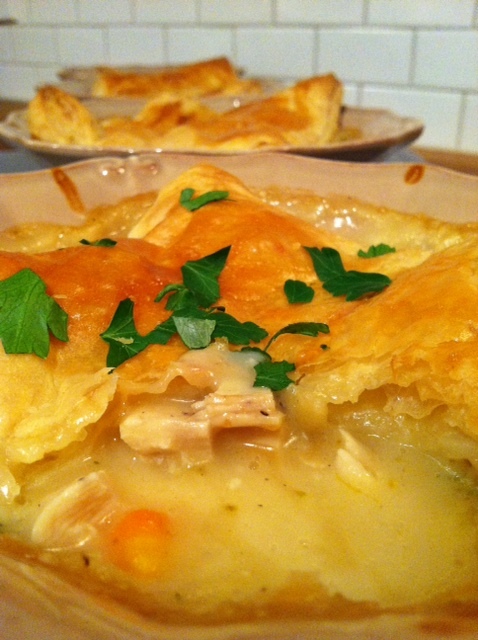 My husband and fellow pot pie lover, thinks pot pie is like a fancy version of chicken and dumplings so he is of course on board. 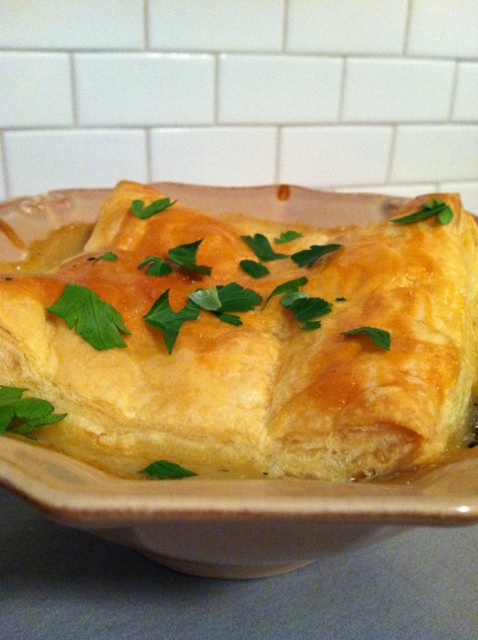 Although this recipe is somewhat traditional, it also has a twist. 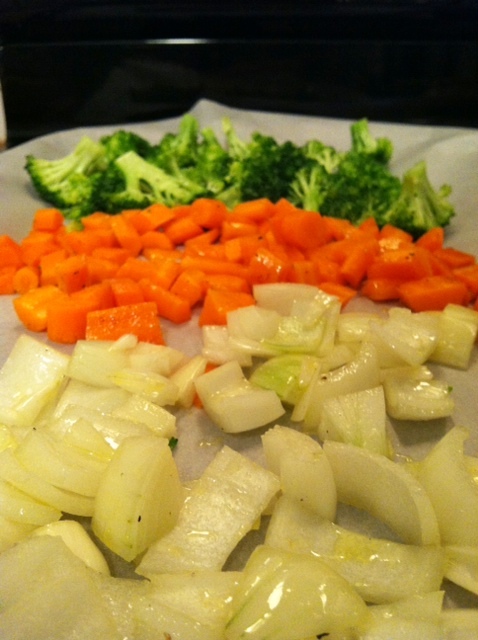 I use broccoli onion, carrot and chicken in my pot pie and they are all roasted before everything is assembled. Instead of a traditional pie crust, I just top them all with puff pastry which gets so fluffy and I just love it. Start out by roasting your chicken and veggies. Now all we need is that wine glass! Toss vegetables with olive oil to coat. Season with salt and pepper. Roast for 20 minutes. Remove from oven. 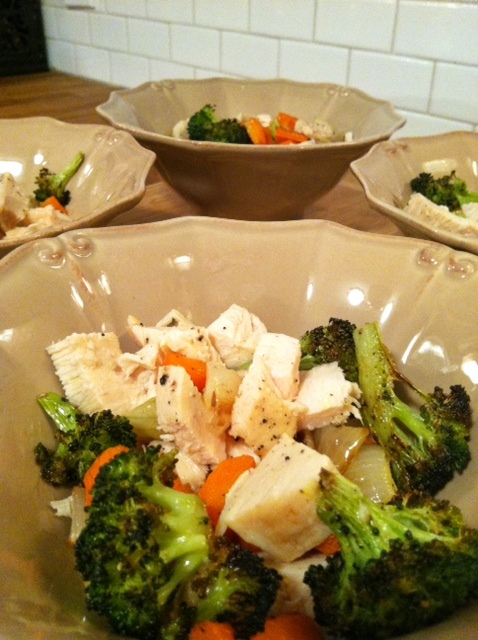 Divide cooked and cubed chicken breasts and roasted vegetables, among 4 oven safe bowls. 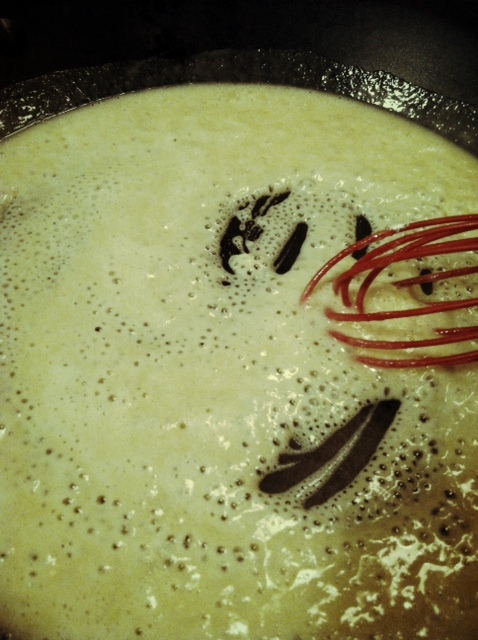 In a nonstick skillet, over medium heat, melt butter and add flour whisking constantly to create a roux. Whisk for 5 minutes until the flour taste has cooked out. 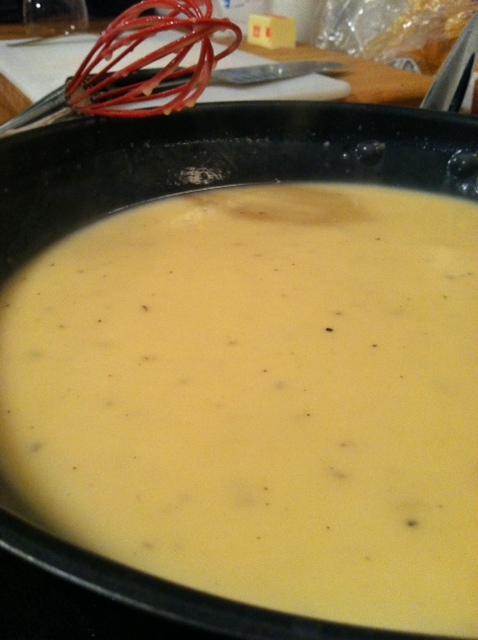 Slowly add chicken broth one cup at a time until smooth and thick, about 10 minutes. Sauce should not have clumps. Add thyme, salt, pepper, cream and hot sauce. Ladle sauce equally between the four bowls filled with chicken and vegetables. Beat egg and one tablespoon water in a small bowl. 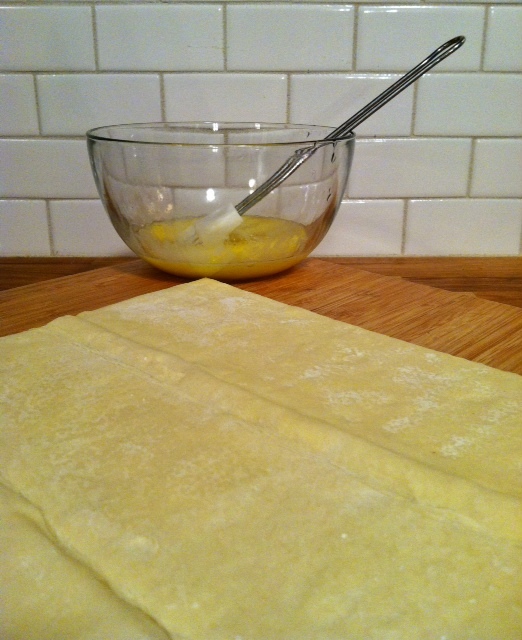 On a lightly floured surface, cut puff pastry sheet into 4 equal squares. Place one square over each filled bowl. 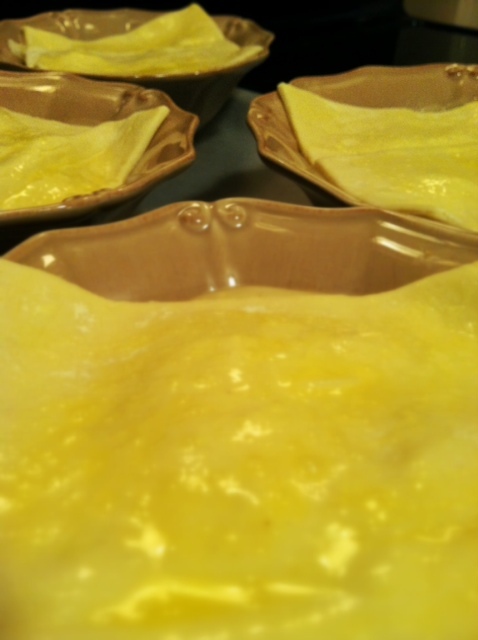 Brush the top of each pot pie with egg wash.
Bake for 25 minutes or until pastry is fluffy and brown.